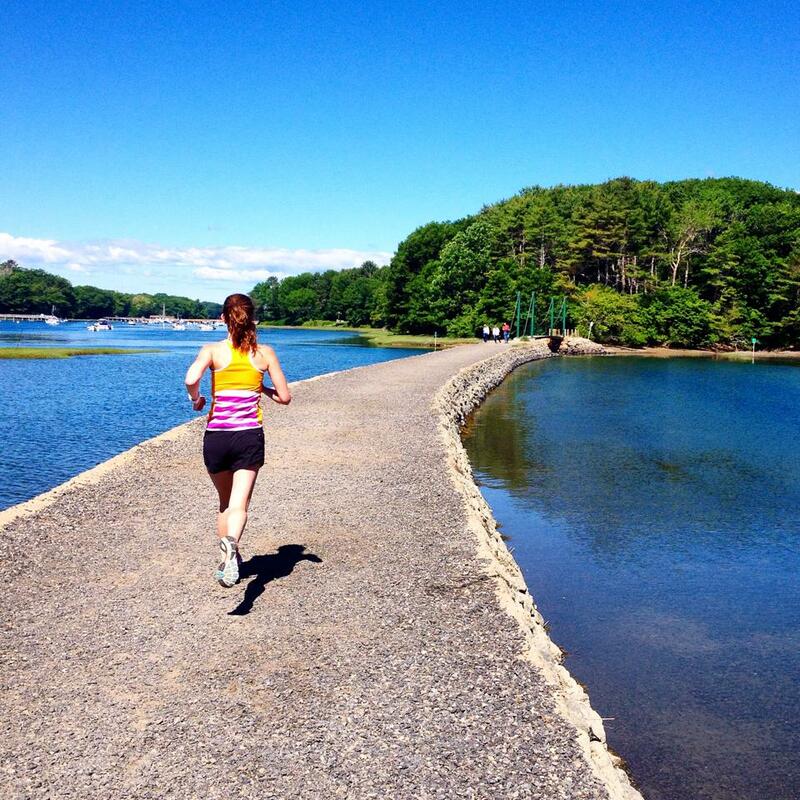 Chicago Marathon Training: Week One | Fit Girl. Happy Girl. The first week of training went pretty well! Despite it being incredibly hot and humid I was able to get all of my runs done. I was a little disappointed to only be able to get one strength training session in but my schedule unfortunately didn’t allow for any wiggle room. I had a really great first “long” run and I was relieved because for some reason I was a little nervous. This upcoming week I’m hoping to get in more early morning runs and strength sessions than last week. Happy running! A nice and easy Vinyasa Flow yoga class to kick off week one of training for the Chicago Marathon! I ran with the local running store tonight and Saucony was there wear-testing shoes. It was perfect because I’ve been thinking about adding a more cushioned shoe into my rotation for training and they were testing the Ride 7. It was much more stable than I’m used to (I typically run in the Mirage 4) but it felt good and I think it will be good for long runs and easy runs. Other than that the run was good. I went a little too fast to start, first mile ticked off at 7:59, but it was a hot one so I dialed in the pace for the rest of the run. I ran up 10th Street for this workout (500 ft. elevation gain over a mile). It was the first time I ran it in months so it was pretty hard. I walked a lot but I got to the top and the downhill was so great. I was testing out some treadmills for work today so I ran two miles on one treadmill and another two miles on the other. I was actually relieved to run indoors because the humidity has been absolutely killing me lately and unfortunately my schedule this week hasn’t allowed for early morning runs. Just ran an easy shakeout run before my Sunday long run. Did an out and back near my house. It was really humid and I waited way too late to head out. This was one of the best long runs I’ve had in quite some time. My pace was extremely even, I even had enough energy to pick it up for the final two miles. I ran on the Saucon Rail Trail path because it’s incredibly flat and just about the only flat terrain around where I live. I wanted to run long on flat terrain because Chicago is going to be much flatter than anything I’m used to running. While I’m still incorporating hills into my weekly workouts, I want to also incorporate some long, flat runs as well to practice running on similar terrain as Chicago. Prerun: 1 everything bagel with butter an hour before the run, 1 cup of coffee, water. Postrun: 1 32oz Gatorade and Brunch with friends! Also, with my new Nike+ Sportswatch I’m now on Nike+.com. Add me as a friend if you’re on there too! It’s one of my dreams to run Chicago, good luck! I just started marathon training this week too — what plan are you using? I’m super excited to run Chicago! It’ll be my first “big city” race. I’m using the Runner’s World Break-4:00 Marathon Plan (http://www.runnersworld.com/marathon-training-plans/runners-world-break-400-marathon-plan-16-weeks). It looks pretty good for my current fitness level so I’m hoping it will help me reach my goal! Good luck with your training!